Who doesn't love cheese? Other than the lactose intolerant of course. Sorry folks but you're really missing out on a lot. For those who love their dairy like i do, here's one good one for you- Latteria Mozzarella Bar at Duxton Hill. For those who don't dig cheese (you should though), they do the Italian staples well too! This 90-seater semi-alfresco restaurant is huge on cheese, which they import twice weekly from Italy. The cheese menu revolves around 11 variations of fresh mozzarella, each served with a contrasting side ($20-30). Is it any wonder the pièce de résistance is the Burratina (a baby burrata) served with roasted pumpkin and truffle ($20)? This round of fresh artisanal cheesy goodness hails from Puglia and is made from cow milk mozzarella and cream. It has a solid silky outer shell and soft creamy center that spreads like a dream. Only because i wanted to give the dish a more umami dimension, the highly accommodating service staff added a round of parma ham to the dish for an additional $5. The squash gives the dish a tinge of sweetness and then there's also the earthy truffle perfume. I would have this as a main anytime and the portion is more than sufficient for that intent. 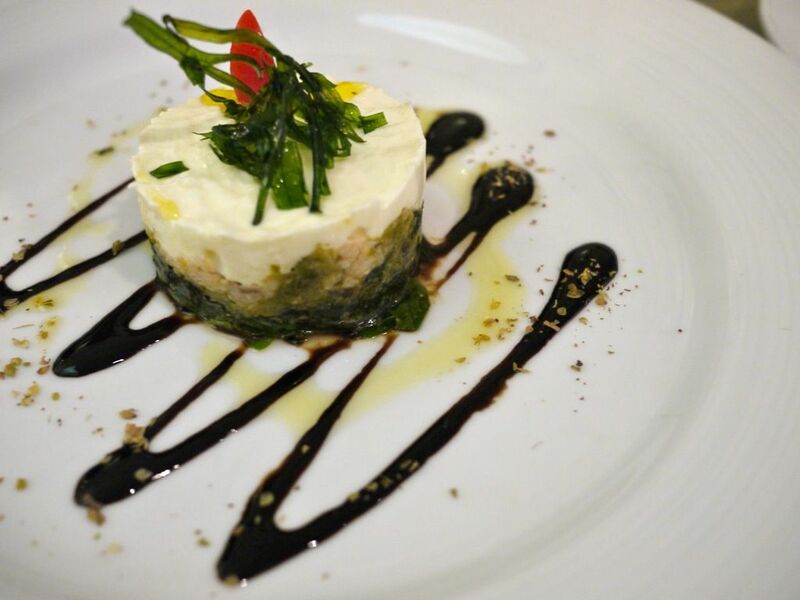 Our starter of Crab & Stracciatella Cheese Salad with Roasted Zucchini ($20). I love the shredded rags of cow's milk mozzarella and fresh cream. It is delightfully rich but not too heavy. The crab meat lent a light and fresh seafood sweetness to the mix and i love the juicy roasted zucchinis at the base of the tower. The red wine balsamic reduction lifted the dish with the slightly bitter sweet acidity. Nicely done. The Garlic Prawns, Chick Peas & Pesto ($20) antipasti was a good and piping hot complement to the cold cheeses. I couldn't resist mopping up the gravy with the delicious bread that was served. That was after we devoured the succulent prawns. They are a little small and we could definitely do with more! 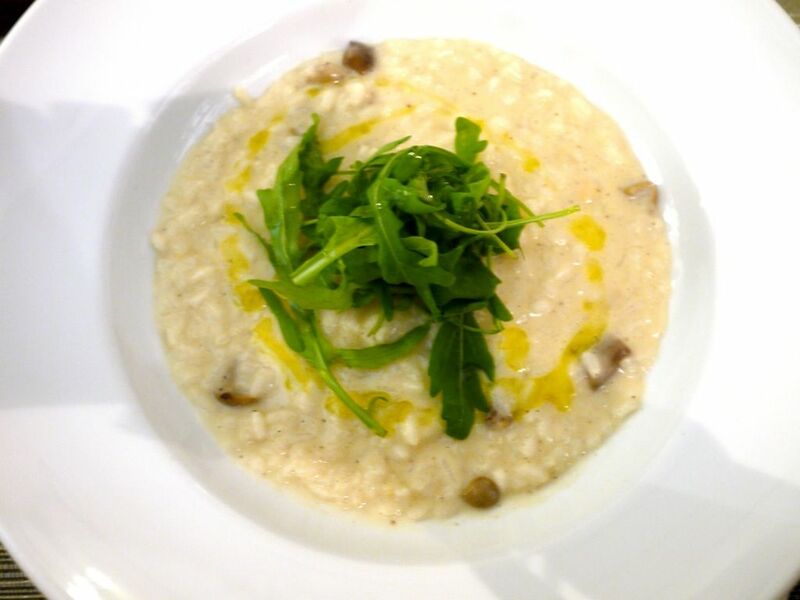 Next up, the Smoked Scamorza & Porcini Mushrooms Risotto ($25). Smoked Scamorza has a more dominant in taste than the mozzarella and i like how its natural saltiness flavored the risotto cream broth. I would say this is more of a wet risotto but it's nicely executed nonetheless. Would be a good dish to share. If pasta is your thing, do not miss the Linguine Crab & Mascarpone ($25). The silvers of crab meat lent some fresh seafood sweetness to the pink sauce. I say this is as good as Valentino's. 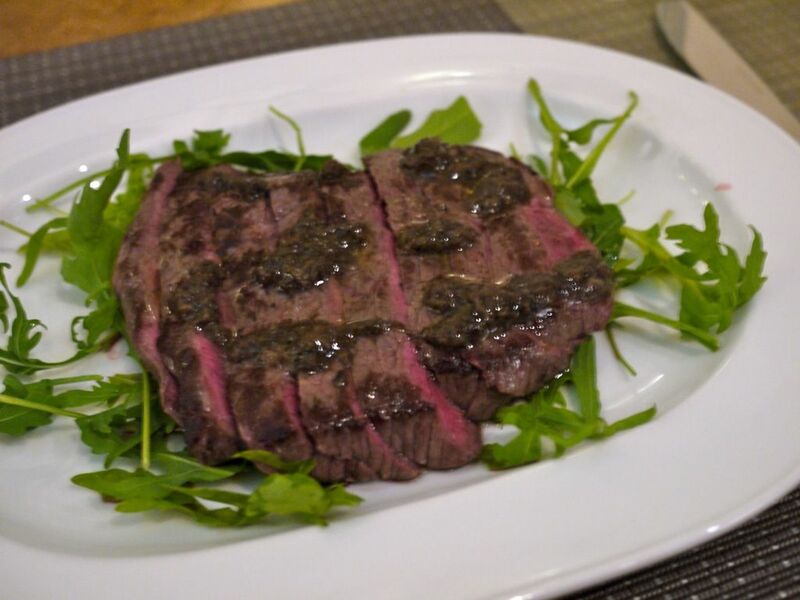 I was surprised at the size of the Grilled Beef Sirloin Steak Tagliata with Rucola & Truffle Sauce ($35). This is a full size steak, grilled simply and served on rockets. The steak was tender and done medium rare like we like it. Love the truffle sauce too. I could hardly finish my dishes. I must say i'm really impressed with the quality and quantity of the food served by Latteria. Also, the impeccable and friendly service made dining there an extremely enjoyable experience.